Q: What’s the best diet for losing weight? A: The one that works for you. Q: How do I figure out which diet will work for me? A: Work with a qualified professional to help motivate, support, and guide you to achieve your own personal weight loss goals. Losing weight is about much more than knowing how many calories you need, which foods to avoid, or how much cardio you should do. It’s about thinking in new ways. It’s about facing and conquering barriers head-on. It’s about learning from mistakes and getting back on your feet. It’s about creating healthy lifelong habits around eating and exercise -- forever. All that is nearly impossible to do alone. To truly change your life, you need to identify and overcome obstacles, to constantly set and work towards new goals, and to implement a practical and effective system for success. Don’t be. Experts who study behavior change advocate for weight loss coaching, and there is solid evidence behind their recommendation. In a weight loss trial published last year in the UK (1), researchers compared two groups of young adult dieters: those receiving counseling plus health coaching and a smartphone app, and those receiving just counseling. The first group lost significantly more weight than the second, citing benefits from use of a health coach for optimal results. Another study published in the journal Obesity in 2013 (2) compared three types of weight loss coaching – professional, peer, and mentor – on weight loss outcomes of 44 obese individuals. All three approaches resulted in weight loss, but the folks working with the professional coaches lost the most weight of the three groups. And this isn’t a surprise. A qualified professional with experience and expertise in nutrition, weight management, fitness, and wellness is necessary to design the perfect diet and exercise program for you, which includes not only meal plans and tips, but ongoing communication, motivation, and support every step of the way. This involves helping you set reasonable goals, providing the tools you need to succeed, answering your questions, and helping you adjust to your new healthy lifestyle. Let’s face it, you can learn what to do to lose weight from any one of a zillion books, web sites, and well-meaning family and friends. But an expert takes the time to understand your unique goals and needs, and teaches you not only what to do step by step, but why, when, and how to do it. Only then will your new behaviors become meaningful and effective over the long term. An effective lifestyle plan can’t be static. It must be adaptable and adjustable to your ever-changing needs and goals. A pro will make sure that you stay on track and remain challenged, and will respond when there’s a need to tweak your program. Ongoing communication is paramount to your success. Coaches listen, understand, and respond to your questions and concerns as they come up. This keeps you on track. Changing habits is hard. Some days are tougher than others, and sometimes you may feel like giving up. A good coach will know how to get you back into a positive mindset and effectively guide you back on your path. They are on this journey with you. You are ultimately responsible for your own successes and failures, but a coach has a responsibility to ensure that you experience ongoing progress. If you backslide or become frustrated, your coach will make sure to identify the root of the problem, address it with you, and help you readjust your goals and expectations. Weight loss and gain, food issues, and body image are very emotional in nature. But these issues are an integral part of your journey. A health coach is non-judgmental and objective, helping to build a trust that enhances your relationship and, ultimately, leads you to victory. 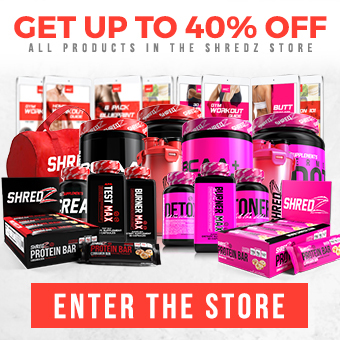 Shredz has officially launched the 4-Week Shred Program, our exclusive personalized approach to long-term weight loss. 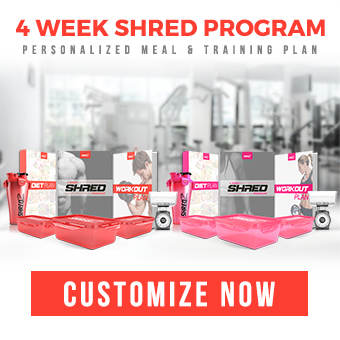 The 4-Week Shred includes a custom meal plan, custom workout plan, one-on-one coaching from a certified fitness and nutrition expert, plus free goodies to help keep you on point.